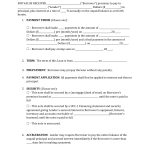 Download this Florida Irrevocable Living Trust form in order to transfer property and assets into a separate legal entity to be used for the benefit of your chosen beneficiaries. A trust can provide a grantor with increased flexibility when deciding how and when he or she wants his or her beneficiaries to receive the assets and property. A grantor can choose to have the beneficiaries receive the property after they reach a certain age, or specify that payments will be made for nly education, health and welfare. Or, a grantor can specify that the entire trust property be distributed upon the grantor’s death. 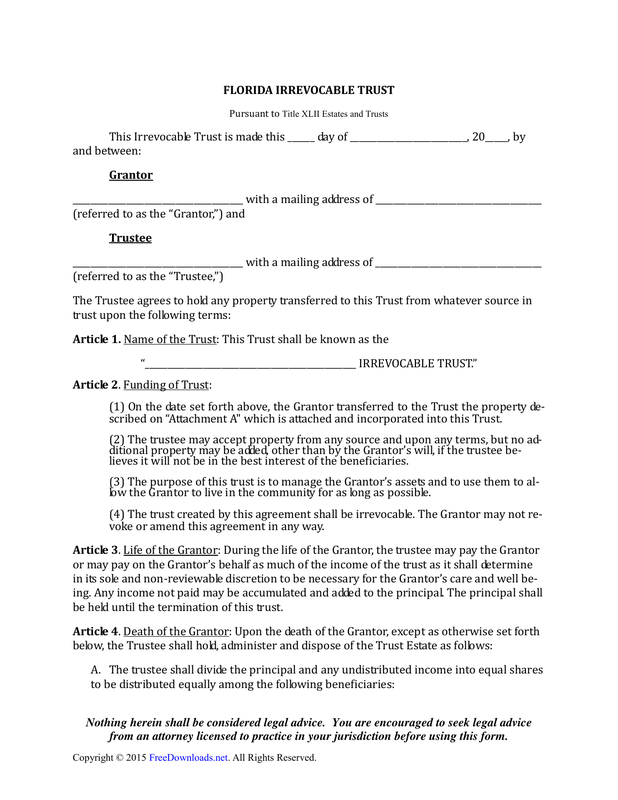 An irrevocable trust is not meant to be revoked or changed during the life of the grantor once it is created. As a result, if properly created and executed, the property placed into an irrevocable trust can be considered outside of the taxable estate of the grantor. 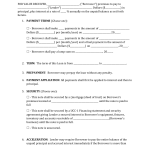 You should consult an attorney in order to make sure this is accomplished if it is your intent.